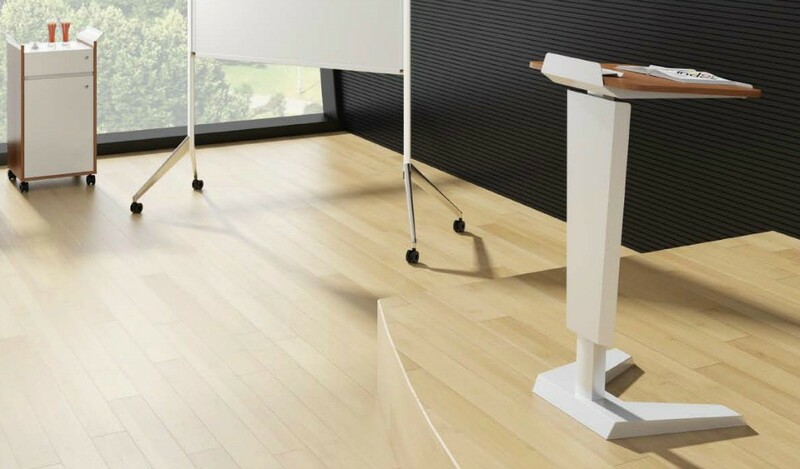 A sleek and stylishly designed multi-purpose training table with castors. Premium finish, solid structure and cutting edge hardware. Easy to install, fold, move and place in different configurations this versatile table will complement and enhance your corporate training area with its good looks and functionality. Can be customized to suit your requirement. – This training table with castors looks best in its original oak laminate as seen in the picture or in white. – Available in multiple sizes this table is an ideal choice for training areas and classrooms. – Made using environment grade MDF and natural wood veneer. 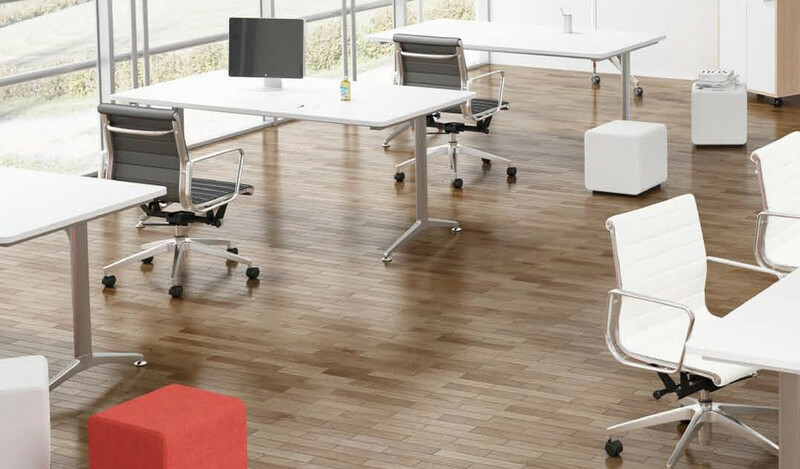 The E1 rated MDF is a superb highly durable material and a world standard for premium furniture while the laminate is from our carefully selected range of premium laminates with consistent color and grain structure. 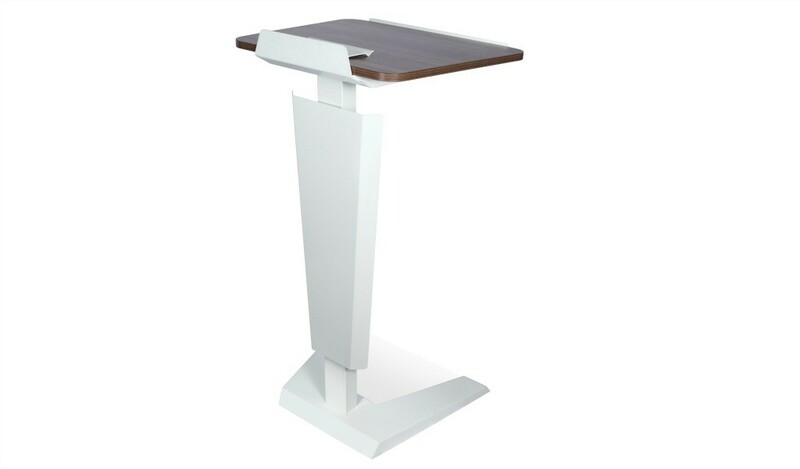 – A modern, multi-purpose training table designed with aluminum alloy frame, light oak laminate top and castors. Impeccably finished in premium oak wood this modular table can be used to cater to different needs. 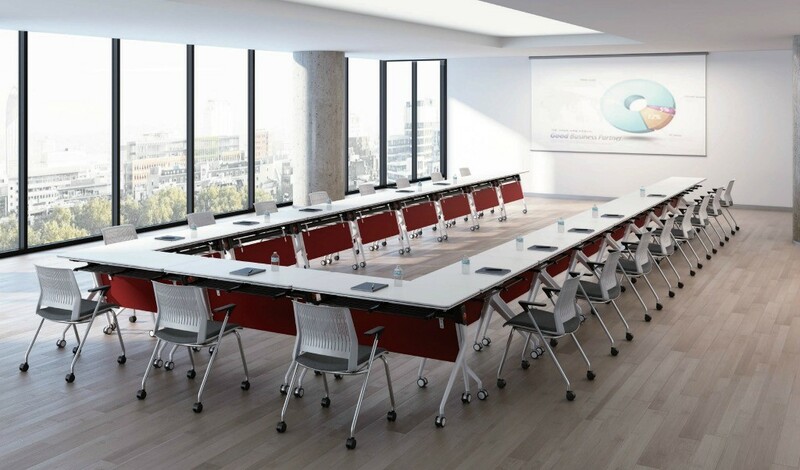 You can not only use it in classrooms and corporate training areas but also in conference rooms as a meeting table. 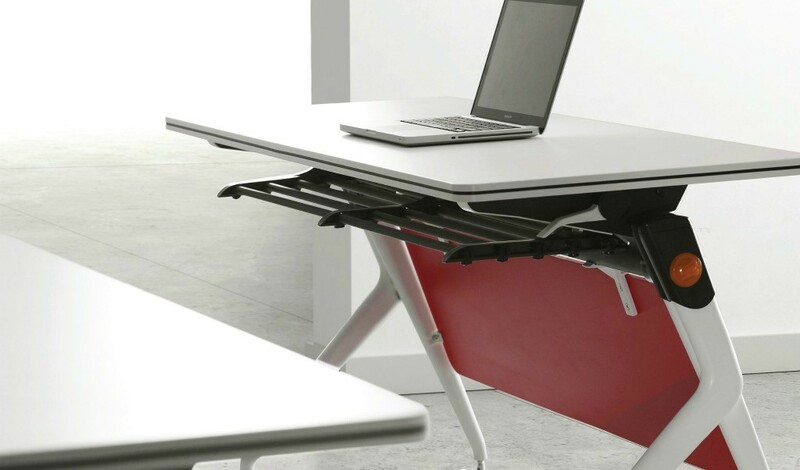 Because of its light weight and compact size the table can be easily moved, folded, stacked and placed in various configurations. 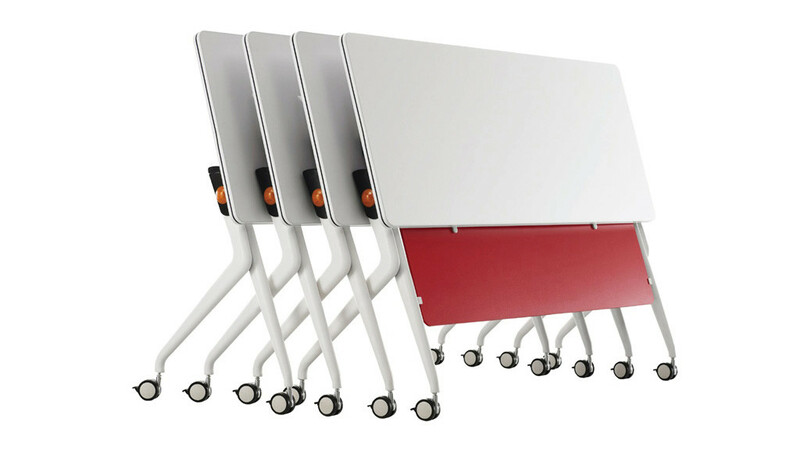 Simply combine multiple individual units to make one big meeting table in any shape and size. 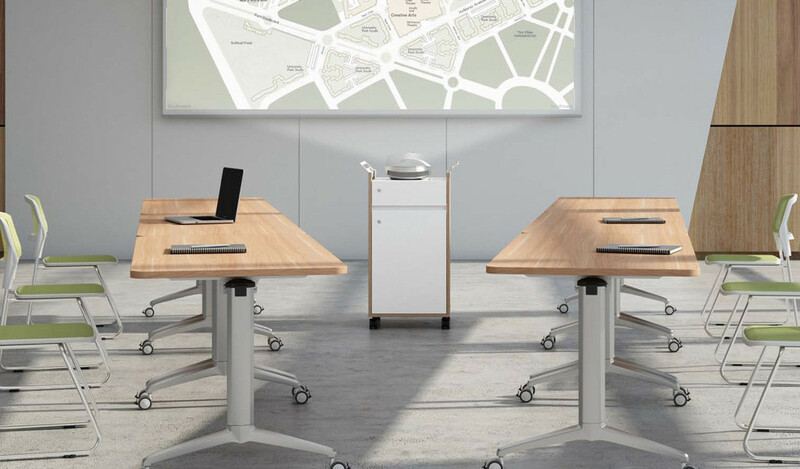 It is part of the Bale series from which you can choose an entire range of training tables in different sizes and finishes apart from podiums and chairs to completely furnish your classroom or training room. A routine care of your furniture can go a long way in its maintenance. Here are a few simple tips and guidelines to help you enhance the durability and appearance of your furniture.